How do I claim the Get Started reward? Sync allows you to earn an additional 1GB of storage space by simply completing at least 5 of the achievements listed on the page. 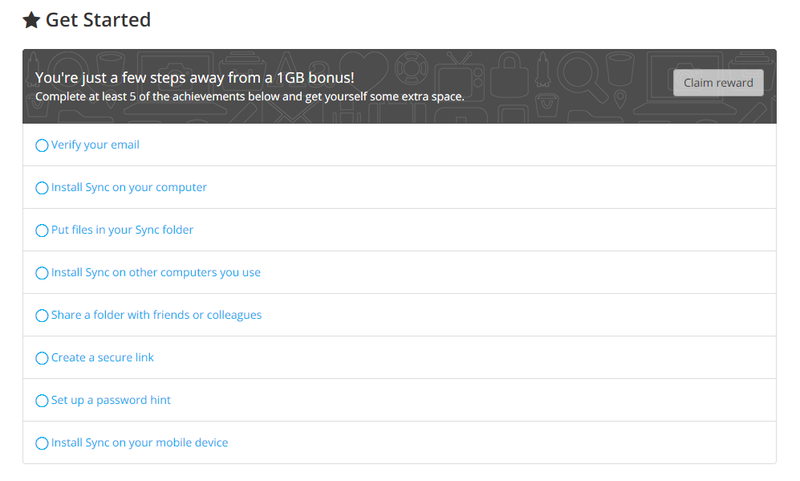 Once you have completed 5 of them, click Claim Reward on the top right and you will be given 1GB of extra space.